Proper functioning of the day to day health care activities depend heavily on quality medical equipment and instruments. We at alfarsi.me offer a broad range of equipment and instruments that are required for small clinics as well as large specialized hospitals. In the instruments range, we offer the full line of quality medical surgical instruments.  Our instrument specializations include general surgery, plastic surgery, gynecology, obstetrics, urology, cardiothoracic andvascular surgery, neurosurgery, ophthalmology and endoscopy instruments. We also offer sterilization containers and instrument sets for different surgical procedures. Our medical equipment range include most commonly used equipment in hospitals including ECG, patient monitors, ultrasound machines, ENT devices, Audiometry & spirometry, Electromedical devices, First aid & emergencyequipments.